AT&T Customers! By One Get One FREE Movie Ticket! You are here: Home / FREEbies / AT&T Customers! By One Get One FREE Movie Ticket! 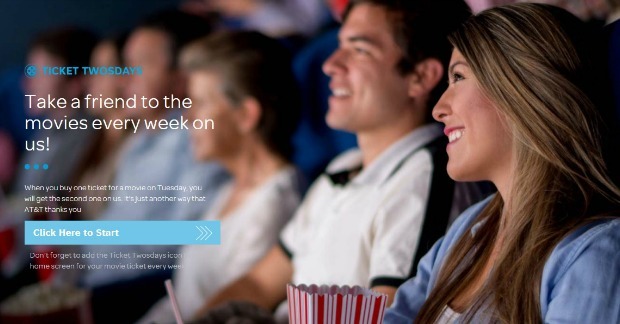 If you are an AT&T customer, on Tuesdays you can get a Buy One Get One FREE movie ticket! Just head over here <— and enter your phone number and zip code to get a validation code and you have 6 days to use it! NICE!